BEVERLY HILLS NANNIES- Not Your Average Lifestyle! Premiere! They aren’t your typical “babysitters”. They are nannies who specifically work with wealthy families residing in Beverly Hills, Ca. Nothing in Beverly Hills is exactly like the same thing in any other part of the country. For instance- the family dog. 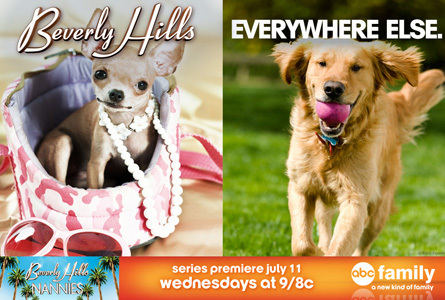 In Beverly Hills, the family dog is typically pampered with the best foods, trainers, daycare, and even clothes!